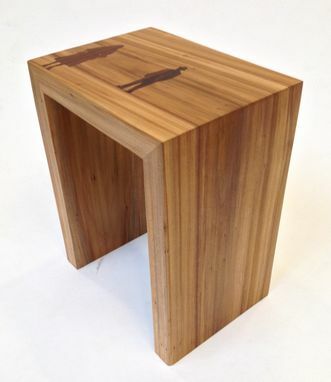 This table is crafted from a single slab of willow and features continuous grain wrapping around the entire piece. 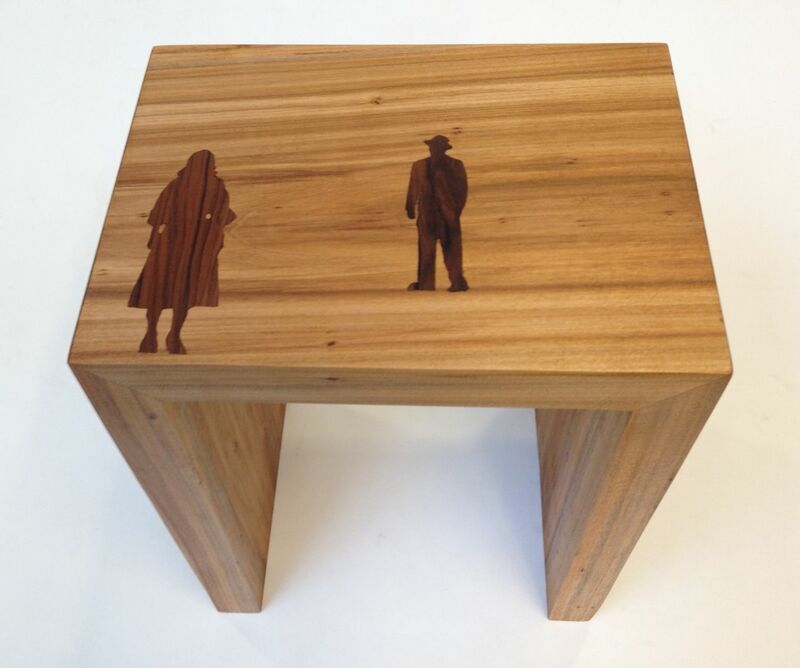 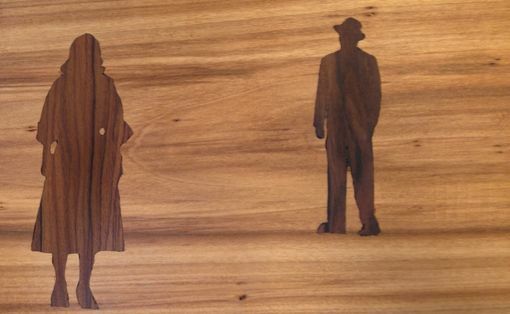 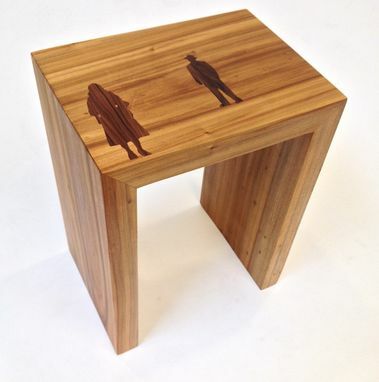 The top is seamlessly inlaid in Bocote with the closing scene from the film noir classic 'The Big Combo'. The inlaid scene creates a dramatic effect that will complement any home. 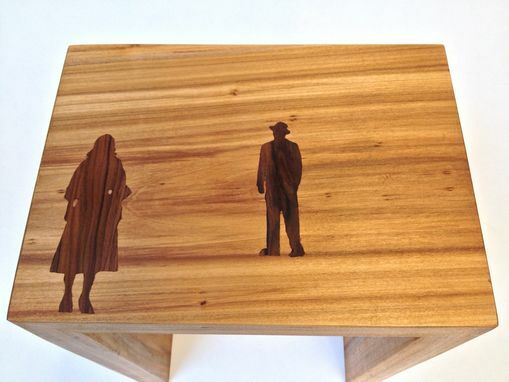 Dimensions are 18x14x11.